Tanzania Invest and Mr. Maina discussed banking trends and innovations in Tanzania, the role which banks play in driving the socio-economic development of the country and Barclays Tanzania’s strategic focus and competitive advantages. 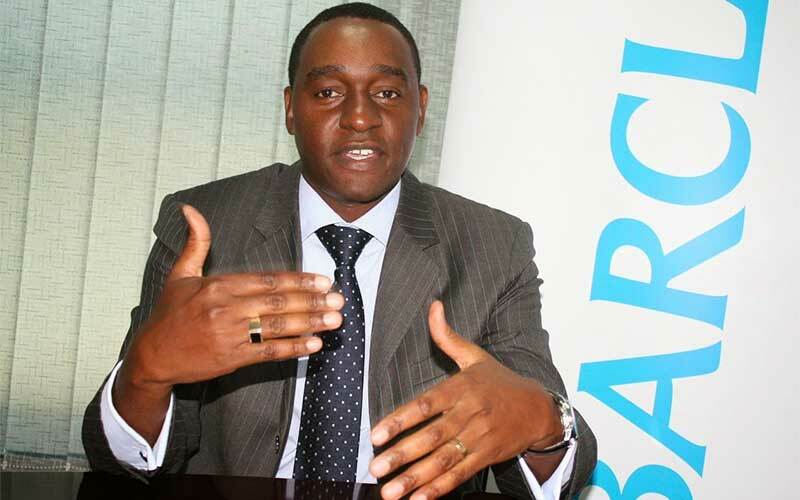 TanzaniaInvest: Barclays is among the earliest banks in Tanzania. What does this market represent for Barclays Africa? Kihara Maina: Barclays’ relationship with Tanzania dates back to 1925 when we first opened our doors in this country. Following a 33-year absence due to nationalization, we re-entered the market in 2000. Over the last decade, there is little doubt that Africa has moved from being one of the world’s economic problem areas to one of its greatest economic opportunities. Tentative overtures made by international companies towards Africa over the past two decades have now turned into fully-fledged interest. Investment is pouring into the continent and more is poised to come. Africa is now firmly on the radar of every major economy in the world – from the European Union and the United States to China and Japan. International interest has been driven not only by the prospect of resources, but also by the extraordinary opportunity presented by Africa’s flourishing consumer base. Africa is now the second fastest growing region in the world after East Asia. The continent is taking the next step in deepening its financial markets as investors increasingly turn their attention towards it. The opportunity for the financial sector to contribute adaptive solutions in and across African countries is immeasurable. In 2013, Barclays Africa Group was formed by combining Absa Group Limited and the majority of Barclays Africa operations. Barclays Africa has majority stakes in banks in Botswana, Ghana, Kenya, Mauritius, Mozambique, Seychelles, South Africa, Tanzania (Barclays Bank Tanzania and National Bank of Commerce), Uganda and Zambia. It also has representative offices in Namibia and Nigeria as well as bancassurance operations in Botswana, Mozambique, South Africa and Zambia. Barclays Bank Kenya and Barclays Bank Botswana continue to be listed on their respective stock exchanges. Barclays Bank PLC has operations in Egypt and Zimbabwe which continue to be run by Barclays Africa Group’s management. This reorganization boosts us significantly by providing us with the appropriate platform to do business in Africa. Barclays Africa Group represents over GBP1 billion in profits before tax PBT, £ 4Bn in revenues and we serve over 12 million customers. The creation of Barclays Africa Group gives us a strong competitive advantage. We offer our clients deep local knowledge and presence and the expertise and support of a global bank; hence, we have the ability to play a key role in empowering Africa by reducing the costs of doing business, by providing and enhancing access to the continent and by being the bridge between local and global markets. Our strategy to become the “Go To” bank for our customers and clients across Africa is precisely this: to bring the best of our African businesses together with the best of our global franchise so that we are the first choice when clients and customers think about their banking needs. TI: What’s your focus in Tanzania? KM: Our strategy is centered around the key opportunities that Tanzania offers. We leverage our strengths and expertise to serve our chosen market segments which include retail banking for individual clients; our corporate & investment banking segment for multinationals, large corporates and the public sector and business banking for Small and Medium Enterprises. All these segments are underpinned by our international capability which enables us to fulfill a wide range of needs for our customers across the board. Barclays Bank Tanzania is also strong in the wealth and investment management space and through our Premier segment in retail, our customers can access these services. For example, any multinational that is looking to operate in Tanzania is likely want a Group relationship with a global bank like Barclays. It therefore makes business sense for us to relate to them as a client linked to our global network rather than look at them as a single entity operating locally. This way, we are better prepared to address their complex needs and ensure that they are engaged in the local market while meeting their international obligations. This demonstrates what we mean by being fully global, fully regional and fully local. TI: What are the new banking trends in Tanzania? KM: Tanzania’s economy has become significantly open and extremely competitive, which is clear from the impressive and steady growth rates we have seen for the economy. The retail banking market has grown over time in Tanzania. To put it in context, the banking sector in Tanzania is probably just over twenty years old in its modern form. A wave of competitiveness has kicked in over the last ten years or so. So, essentially, the retail markets’ demand for modern banking is getting increasingly stronger. We have to ensure that retail banking products not only serve a functional purpose but are also able to compete with current market expectations. They have to be safe and trusted, easy to use and give the customer the ease of access that has now been expanded with the use of mobile phones and the Internet. Speaking of the mobile phone, we are seeing increased penetration in mobile banking. Current socio – economic constraints still mean the majority of Tanzanians are unbanked, so banking is now moving towards convenience and accessibility. Mobile banking will definitely ensure that we increase the proportion of banked customers across the country. Over the past four years we have seen the level of banking penetration only increase marginally, with a considerable shift experienced in the larger banks. This definitely means that there is a need to increase the 12% or so penetration of banking in the adult population. The key to this will be financial inclusion, agency banking and mobile adoption. Telcos have played a significant role in the financial inclusion space, and we have seen a significant growth in this aspect to nearly 57% from just 1% in 2009. Agency banking is now being offered by five banks and the number of agents has nearly doubled from September 2013 to April of this year. For Barclays, this shift has demanded that we be more innovative, not only with the types of products and services that we introduce, but also in considering how we target our chosen segments to increase usage and penetration. TI: Which segments of retail banking do you serve in Tanzania today? KM: Our retail strategy serves three segments that we define as Premier, Prestige and Personal banking. Premier serves our High Value customers, Prestige serves the aspirational middle class and Personal serves the mass affluent customers. The Tanzanian population is quite vast, and currently only 12 % of that population is banked. We have aligned ourselves to these focus segments because we recognize that targeting the whole population would demand expensive capacity and infrastructure. As a result, we have chosen segments that we can best serve through our focus on technology driven solutions and service. This has in turn enabled us to provide customers with the appropriate products and guarantee the delivery of quality and service associated with the Barclays brand . TI: What else can we expect in terms of banking innovation in Tanzania? KM: The big driver of innovation has been the proliferation of technology. It’s completely unprecedented how the mobile phone took off in Africa in terms of the need for communication and the ability to connect to people. I definitely see that trend continuing as internet access gets easier and more cost effective. That will continue and, as the internet gets cheaper, it’s clear that we will start seeing more innovation in this space. At Barclays, we’re already facilitating utility and other payments and transfers via mobile banking but we’re also exploring how we can deploy credit facilities and offer savings products over mobile phones. Experience has taught us that basic needs don’t really change however access channels and the user experience are elements that constantly change. Banking will need to keep up with technology to provide faster, safer and more innovative solutions to fulfill the needs of our customers. We are always looking at opportunities to deploy the latest technology. We just introduced an innovative array of ATMs that are termed as i-ATMs( intelligent ATMs). These ATMs allow you to make cash or cheque deposits at any time of the day. They are sophisticated interfaces, enabled with sound, and as such can cater for and serve customers who are visually impaired. These ATMs can also allow Barclays customers to send money to non-Barclays customers who can access these funds via the very same ATMs through our innovative Cash send product. Additionally, we are the only bank that offers dual access mobile banking platform over an applet and USSD access. The innovations I have described are mainly for the retail space, but similar innovations focused on delivering efficient and cost-effective cash management solutions are also present in our corporate banking offering where we offer the most secure token-based internet banking platform for our clients which facilitates straight-through payments like tax and trade payments. Innovations in risk management solutions will also be seen as the financial markets get more sophisticated. The opening up of the Capital account will facilitate greater depth in our markets and allow banks like ours to offer bespoke risk management solutions to address the unique conditions of our market in Tanzania. TI: What are Barclays’ ambitions and USP in Tanzania? KM: Barclays Bank Tanzania’s goal is to be the ‘Go-To’ bank in Tanzania for all clients and stakeholders. We concentrate all of our efforts on sustaining a customer centric organization by helping our people and clients achieve their ambitions in the right way. Hence, driving transparency in all of our engagements with customers, regulators, partners and other stakeholders is key. In striving to be the ‘Go–To’ bank, we also look at other performance indicators. We have set a target to achieve a Return on Equity in the range of 20% by 2016. We have also defined our market share ambitions for the segments in which we want to operate and we target continuous cost efficiency improvements to drive our cost to income ratio to around 50% by 2016. We want to be sure that we are capital efficient. We will facilitate this by using a range of instruments and also championing and pioneering them where they don’t exist. TI: What do you think about the introduction of the first two credit bureaus in Tanzania? Are they easing up credit? KM: Yes. We work closely with credit bureaus and don’t approve any loans in the personal market without their approval. Naturally this is a process that will improve as it becomes increasingly embedded more widely into credit granting businesses. As an industry, we need to think about the need to increase information sources, making them mandatory at times to drive early adoption and then also to make sure that people are making decisions that are based on these information sources. Only then will we have started utilizing these bureaus properly. We should constantly challenge ourselves to improve upon such key interventions to enable us to deepen our banking offering in this country. TI: Banks in Tanzania have a critical role in assisting the socio-economic development of the country via Corporate Social Responsibility (CSR). How do you play such a role? KM: We see CSR, or Citizenship as we call it in Barclays, as an integral part of our strategy. Barclays has been a leader in this arena and globally sets aside 1% of its profits after tax to engage in Citizenship activities. At Barclays, our Citizenship agenda takes a particular approach. We have three main elements to our Citizenship pillars: The first is the way we do business: we seek to maintain our business integrity every day by striving to improve the service that we provide, making responsible decisions in how we manage the business and actively managing the social and environmental impacts of what we do. The second is contributing to growth:we support economic growth and job creation by delivering commercial products and services that help people and society make sustainable progress. The third is supporting our communities: Barclays plays a broader role in the communities in which we live and work beyond what we deliver through our core business activities. We do this through our community investment programme aimed at helping improve the enterprise, employability and financial skills of disadvantaged young people across the globe. In addition, Barclays Bank Tanzania has up skilled over 60, 000 Tanzanians in the past two years.40% of those have managed to open their own businesses and are now fully self-reliant. We appreciate that the formal sector cannot create enough jobs to take on new entrants to the workforce and entrepreneurship is key to growth in our economy. TI: Tanzania is witnessing a dramatic socio-economic evolution. If you had to describe what Tanzania is going to be in five years, what would you say? KM: I think that we’ll be further along the path that we’ve set for ourselves as a country. We’ve got an elaborate 2025 vision and the various plans in place to achieve that vision. It’s very encouraging to see initiatives like the Presidential Delivery Bureau, which brings focus to how we are going to actually achieve all of these different objectives. In five years time, I believe we will be better positioned across the region as an economy and we will be more central to the economic well-being of our neighboring countries. As we develop the efficiency of our ports and increase the connections of our rail and road networks, we’re going to play a much more integral role in how we interact with the international community through trade and so on. That is going to mean significant opportunities for growth for us as well. TI: What would be your piece of advice to investors looking at Tanzania? We’ve seen the pace at which Tanzania is growing, with a sustained 7% percent GDP growth in the last ten years and longer, from a low base. As the base gets higher, it becomes even more competitive and attractive. This is an opportune time to visit and evaluate the vast investment opportunities. We have seen this country take the lead in the region in attracting FDI ($ 1.7 Bn in 2012 ). Tanzania is a beautiful country, with some of the richest biodiversity that you can see globally, a rich culture and a vibrant and growing economy. We invite you to come and experience it first-hand.